Hello Bloggers, I’m trying to do the assignment Day 14, hope you will like it. True mate! Thanks for reading! Hi Sam! Wow, that is a dark and powerful story you have shared. 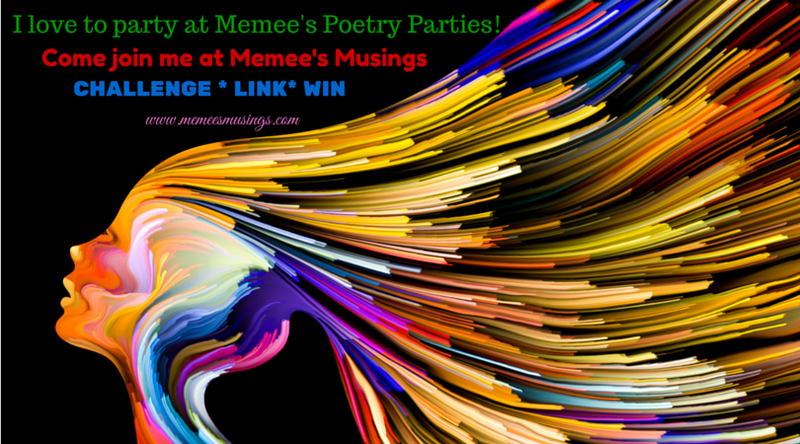 Thank you for submitting it to the Love’n Hate Poetry Party! I know my participants will really enjoy reading your work. In addition to reading and welcoming I wanted to pass along your participation badge just in case you didn’t see where to grab it. Feel free to resize it. Some people put them with their awards or on their about pages, others have it placed in their sidebars or footers. I’ve even seen one person who has a page dedicated to all of the challenges and blogging games they participate in have it posted there. You have earned it so I encourage you to use it in any way you feel fits your blog. Some people will use it in their posts when challenging their followers to join, read and/or vote along with us. It’s totally up to you. My purpose in creating it is just to make it easier for everyone to learn of our activity and send people to it. I hope you enjoy it and find it useful! I hope to see you at the punchbowl again next month! So you’ve been prepared for quite a while! LOL. That’s awesome. I am glad this month’s challenge theme called out to you. I think everyone who participates really gets a lot from reading and talking with each other. I know I find inspiration from all of you and learn each and every month. Hehe! No its not like that, I was a bit upset about what was going on in my life, I wrote the poem,but before posting it here somehow got distracted to open my GMail and the very first mail was of your blog’s letting us know about the party! And I was like wow! This poem will match the description xD hehe. Of course! I love it. I truly hope things are improving for you. There’s a lot of anguish in that poem and I’ve certainly felt pain like that. I try to keep my themes pretty universal so anyone can participate. Have a great week. Blogging saved my life. Words are strong, keep writing always, purge the toxins! I think sometimes talking also helps hehe! I enjoyed the comparative nature within your piece for love and hate. Beautiful. And now you say the golden words , "Abracadabra" And let's see what happens next.